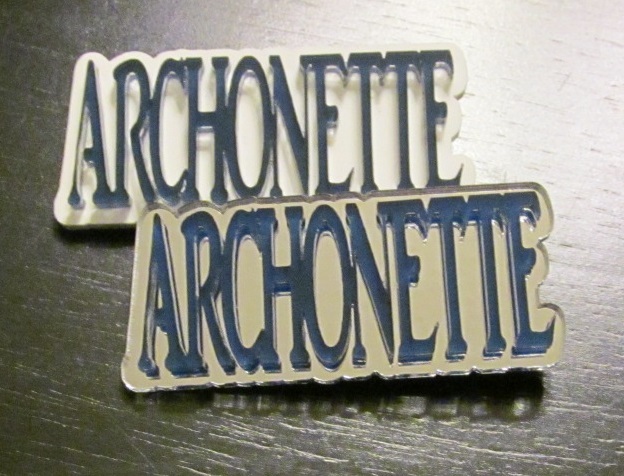 Perfect on a blazer lapel or backpack - these beautiful lapel pins let her represent Archonette stylishly! Each pin measures about 2-1/2" wide. Choose navy letters on white or mirror background to complement any outfit.